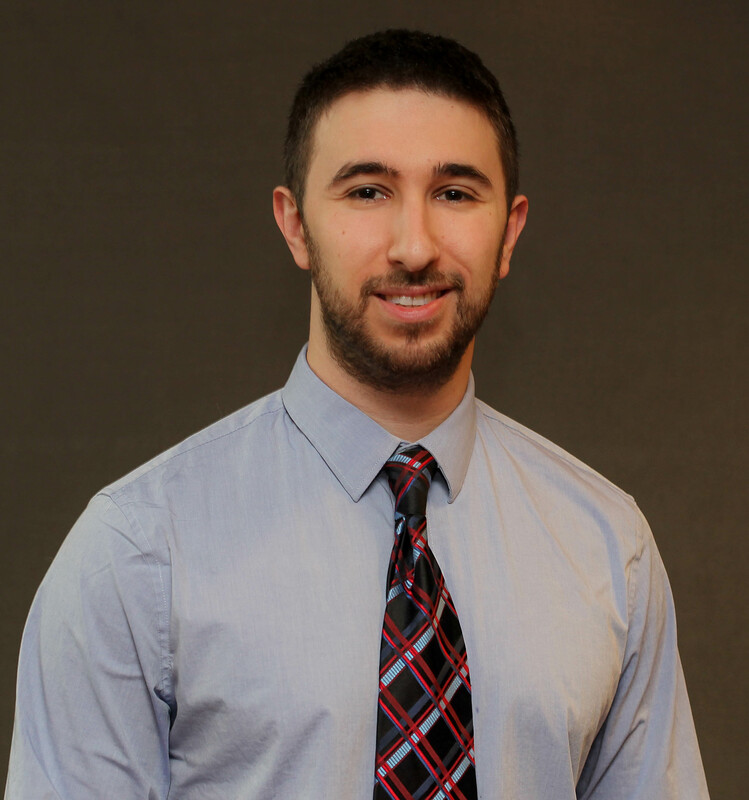 Jonathan Anker, a sixth-year student in the Medical Scientist Training Program (MSTP), was the lead author of the study published in Nature Communications. A unique bacterial strain isolated from a patient with pelvic pain may represent a promising path to treating prostate cancer with immunotherapy, according to a Northwestern Medicine study published in Nature Communications. The study demonstrated how the bacterial strain travels directly to the prostate and induces low-level inflammation, boosting the effectiveness of immune checkpoint inhibitor therapy. Jonathan Anker, a sixth-year student in the Medical Scientist Training Program (MSTP), was the lead author of the study. “This is one of the few things we’ve seen that’s enhanced the ability of immune checkpoint inhibitor therapy in prostate cancer,” Anker said. Prostate cancer is the second-leading cause of cancer death in men in the United States, but immune checkpoint inhibitors, which harness the body’s immune system to attack cancer, are largely ineffective because it’s an immunologically “cold” cancer, according to Anker. “Immune checkpoint inhibitors are clinically beneficial in other cancers such as melanoma, renal carcinoma and lung cancer, but they haven’t shown any success in prostate cancer because the immune activity just isn’t there,” he said. However, the discovery of an exceptional bacteria in the lab of Praveen Thumbikat, PhD, the O’Connor Family Research Professor of Urology, gave Northwestern scientists a golden opportunity to affect the immune activity. 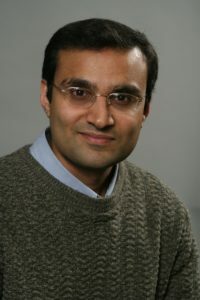 Praveen Thumbikat, PhD, the O’Connor Family Research Professor of Urology and an associate professor of Pathology, was the co-senior author of the study. “We were investigating the role of bacteria in benign prostate pain, and we isolated this interesting E. coli strain from a patient,” said Thumbikat, also an associate professor of Pathology and the co-senior author of the current study, along with Sarki Abdulkadir, MD, PhD, vice chair for Research in the Department of Urology and the John T. Grayhack, MD, Professor of Urological Research. Thumbikat and members of his laboratory found this bacteria, later named CP1, was attracted to the prostate, homing in on the organ like a missile and causing minor inflammation and pain for about a month. 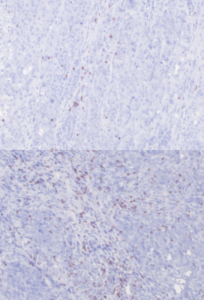 They transferred CP1 into a variety of mice models, and found that it trafficked directly to the prostate again and again. “There may be receptors mediating it in the prostate, but we don’t know precisely what drives this prostate tropism,” Thumbikat said. Regardless of what was driving it, the scientists believed CP1 might be used to jump-start immune activity in the prostate, essentially reprogramming the prostate micro-environment to one more favorable to immune checkpoint therapy. In a series of experiments, Anker found a combination of CP1 and an immune checkpoint inhibitor therapy called PD-1 more than doubled the median overall survival of mice models with prostate cancer, largely credited to beneficial increases in several measures of immune activity. 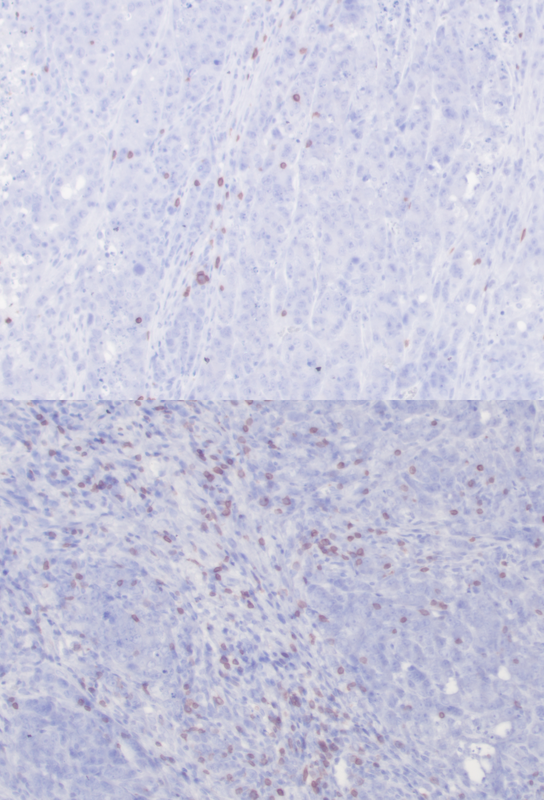 A tumor that was not treated with CP1 (above) and a tumor that was treated with CP1 (below). T-cells are in red, indicating immune response. While increasing the effectiveness of immune therapy by generating immune activity is not a new idea, it’s rare to find a single molecule or compound that will increase activity in a variety of measures, according to Anker. In addition, these findings demonstrate how tissue-specific microbes might help boost immune therapies across the board, not just in prostate cancer. Other Feinberg authors include Anthony Schaeffer, ’68 MD, ’69 GME, ’70 GME, the Herman L. Kretschmer Professor of Urology. Abdulkadir is also a member of the Robert H. Lurie Comprehensive Cancer Center. The study was supported by National Institutes of Health National Cancer Institute grants F30 CA203472, NCI R01 CA167966, NCI R01 CA123484 and NCI P50 CA180995; and National Institute of Diabetes and Digestive and Kidney Diseases grants R01 DK094898 and NIDDK R01 DK108127.